Pretentious! That's the word that pops up when pubs in Chennai are spoken of! Are you wearing a collared shirt? Are you wearing covered shoes? Well, I understand that maintaining law and order in a place where you drink to lose your senses can be tricky, but that doesn't take away the profiling that happens! 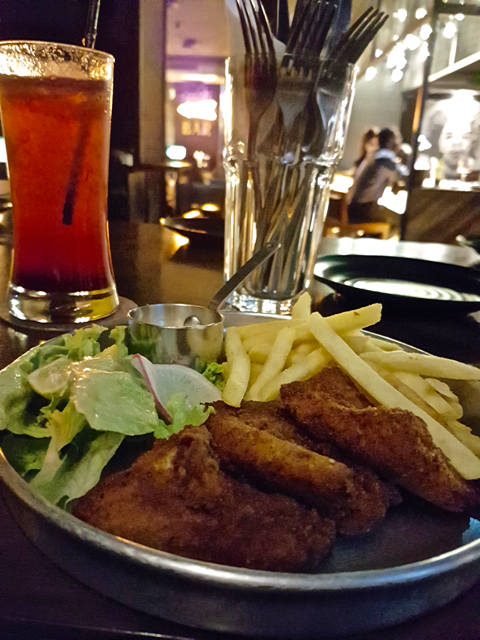 Pub Grub is a cuisine by itself, but except maybe Plan B and Sera (Zara's), no other place in Chennai really has good pub grub. Radio room sets itself apart with a small and easily priced menu! Most starters are priced at Rs. 220 and most mains at Rs. 320! Easy when you are drunk! ;-) No fancy plated large dishes, just easy to eat ones. OK, I am getting to the food! Fantastic. Vegetarian food was equally fantastic! 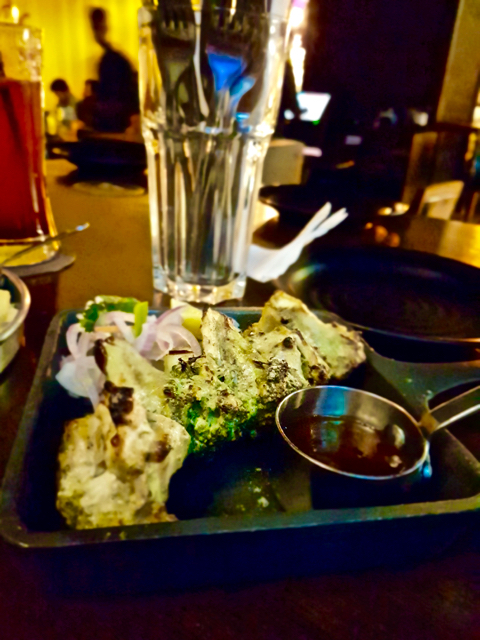 Broccoli kebab which are usually served in most places with store bought cheese slices poorly melted, Radio room serves it with Parmesan and crunchy broccoli. Tastes great! 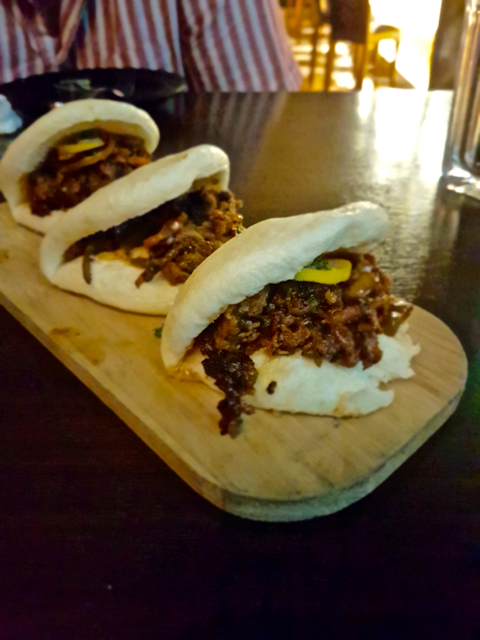 The mushroom steamed buns was the dish of the day! Super soft buns with super tasty mushroom mix! Reminded me of the stuffed buns at GO GO Ramen! The fish n chips should be called chips n fish! French fries are such a simple dish, but one that is rarely done correctly. Either they are over cooked and crispy or dripping with oil without any flavour of potato left, but here the chips (most of them) were brilliant. Soft without too much of oil taste and the flavour of the potatoes going right through the palette. The fish was nice, but it was the crumb fried fish while I would have liked the tempura fried. This is off the menu but was recommended by the waiter so we went for that! I guess I should stick to the menu! I wanted to try out the sliders. Yes, even burgers are small plates (three pieces a plate for Rs. 320), but there was no combo. You could choose either fish, chicken lamb or beef, but all three will be the same. Great for sharing though! Dessert! 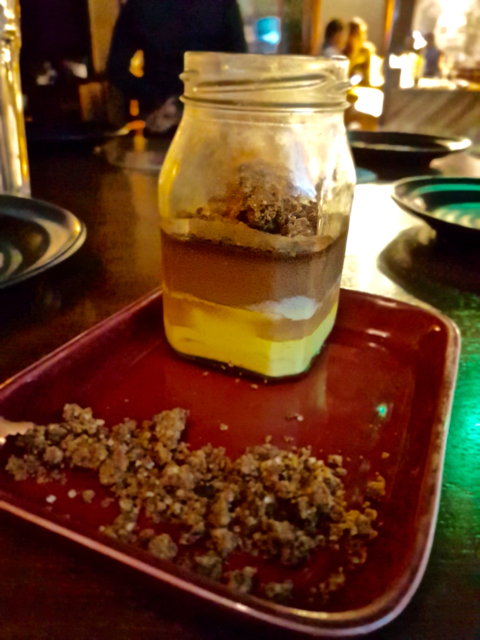 Nutella with Maltova Crumble. A simple yet beautiful dessert with loads of Maltova crumble. The beauty? Normally the crumble is only on the top layer, but here they give some more on the side so till you finish the dish, you can take some of the crumble! Loved that part!!! I don't know about the drinks since, duh, I'm a teetotaller, but the wife ordered a Berry Mocktail which had a cocktail of berries with lemonade. Not my kind of drink though!!! Oh, this is a great place for celeb spotting. We spotted loads of them! I guess, I've found my pub!!!! Radio Room is on the ground floor of the Somerset Serviced apartments in MRC Nagar, pretty close to Leela Palace! Chennai Foody: Radio Room, Somerset.